Taboo and apl.de.ap in coordinated outfits on Instagram. w the fam,” she captioned her snap, tagging the Peas’ official Insta account. Taboo reposted the same pic and echoed Fergie’s sentiments, but the foursome wasn’t alone in their celebration. Apl.de.ap dropped a heartwarming group shot of the music stars with a few friends, loved ones and children, revealing that the day was a total family affair. “Great time with the fam bam last night!!! Happy 4th,” he wrote in his caption. Fergie stepped away from the Peas last year to focus on her sophomore solo album “Double Dutchess,” and the three remaining members have gone on to perform and release music without her. 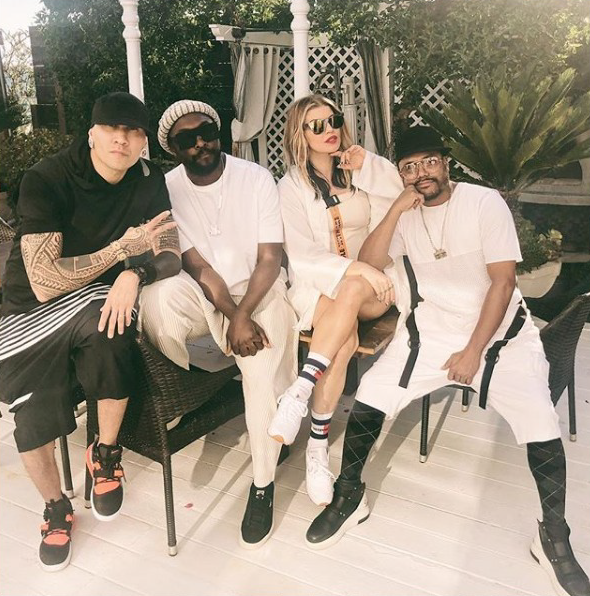 Despite initial speculation that the break was permanent, will.i.am clarified in a statement to the Associated Press that he and the guys supported Fergie’s outside endeavors and would always keep the door open for her. “Fergie is family and will always be a Pea,” he said at the time.